KYLIX: A form of ancient Greek pottery that became a decorative motif. Originally, the ancient Greeks used this shallow, stemmed and footed bowl as a drinking cup. 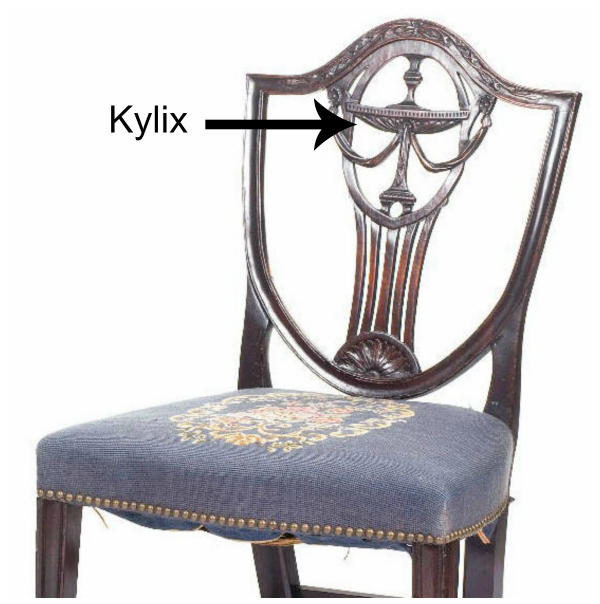 During the neoclassical period in the late 18th and early 19th centuries, the shape was revived as a decorative element. See it on Hepplewhite furniture from the Federal period.